With a motive to resolve issues associated with the blockage in the LPG pipelines, we are here with the an ultimate solution for you in terms of the Y strainers for LPG, which we can make in the brass, carbon steel as well as ductile iron for their high strength and corrosion resilient aspects. 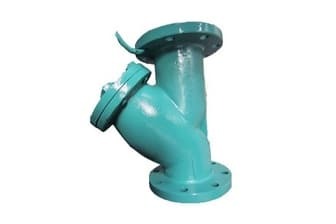 This Y strainer for LPG is manufactured following ISO 9001:2015 quality standards and hence exhibits the highest quality standards, whilst the ends and face to face connection are available as per ASME, DIN or BS standard. The strainer is of SS material with small perforations in order to filter smallest sediments effectively and prevent losses caused by jam. No leakage and longer service life are guaranteed and that’s what makes our Y strainer for LPG absolutely worthy choice for your need, can be installed vertically or horizontally and available worldwide at the most competitive rates.